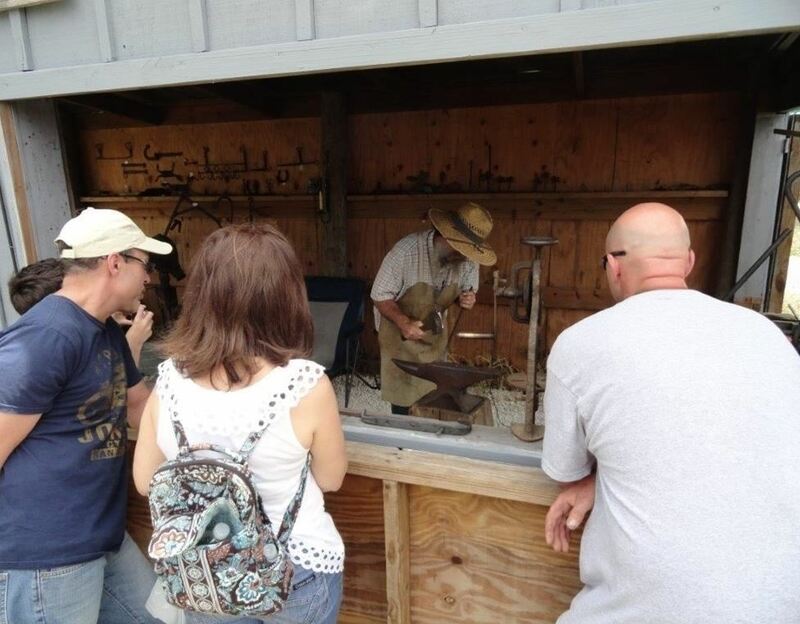 The Early Florida Village is open each day of the fair until 7:00 PM, with limited demonstrations on most days. Blacksmith Watch our blacksmith create tools and household items using hot coals, a hammer and anvil and lots of talent. 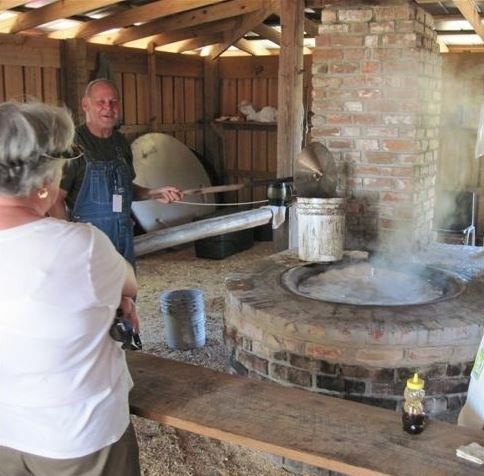 Cane Syrup (Circa 1920s) Come and watch the North Family as they grind the sugar cane and make real corn syrup. Cracker House Watch as our volunteers weave on looms to make both functional and decorative fabrics. 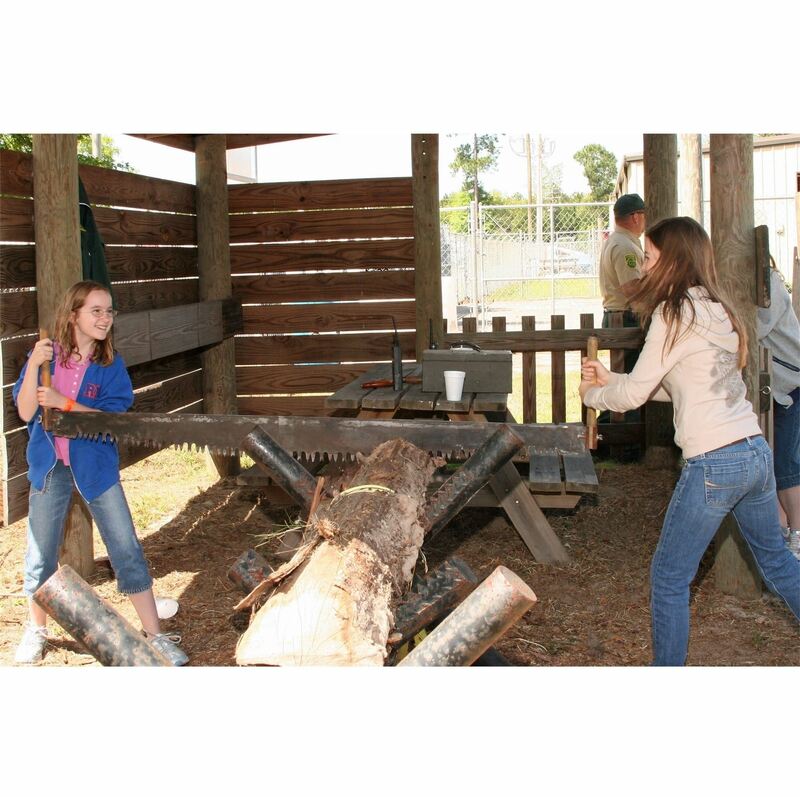 CROSSCUT SAW EXHIBIT Try your hand at the demonstration shed manned by men and women from the Florida Forestry Service. Johns House (Quilt Making) Spend some time with Mrs. Jewell Knowles and her team of dedicated ladies as they share their love for the art of quilting. Log Splitting Watch as a turn-of-the century log splitter is used to split fire wood for both heat and wood burning cooking stoves. SAW MILL (Circa 1940s) The saw mill came from Maxville and was used for cutting cypress trees. 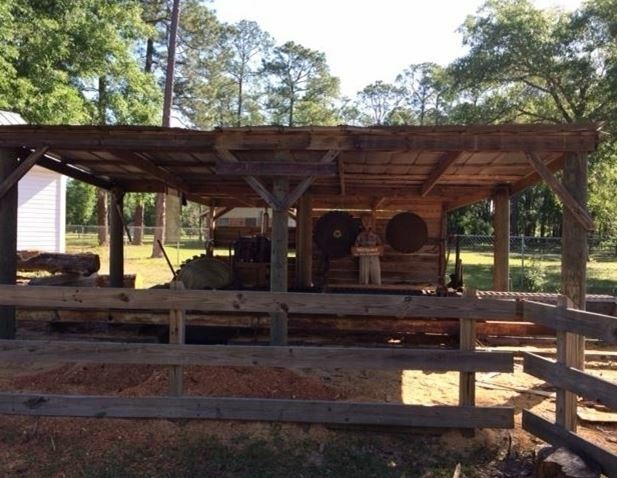 This corn crib, donated by the Freddie C. Geiger Family in Hillard, Fl., was located on the farm of Mr. Geiger near Hillard. This corn crib is typical of the type of structure used during the l800's and early l900's on numerous farms throughout Florida. Its purpose was simple: a place to store field corn after the harvest and to protect it from being eaten by wild animals such as deer and wild hogs. From this crib, the corn was fed out to cattle during the cold winter months when grass was not available. The logs in the Corn Crib were hand cut and hewn by Mr. Geiger, probably from available timber on his farm. Notice the split rail fencing surrounding the Heritage Garden. This fence was also donated by the family of Mr. Freddie C. Geiger. It too was from his farm in Hillard, and the rails were also cut and hewn by Mr. Geiger from available timber. This style of fencing was most often used to enclose "barnyard animals" such as milk cows and work horses. 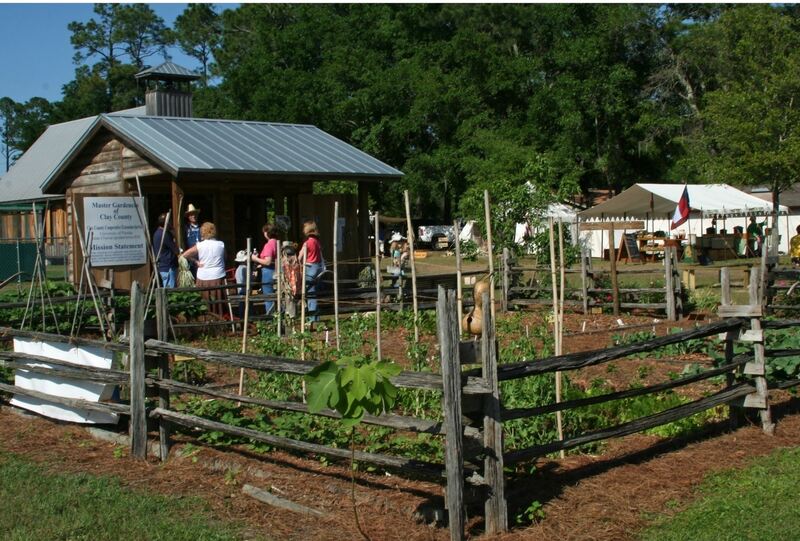 In 2008, the Honey House was constructed as a replica of a typical turn-of-the-century honey extraction house. It features large shuttered windows, a high ceiling, and a large front porch for storing honey A supers' as they were processed. Visitors to the exhibit can view a glass encased, living hive of honeybees and see the bees in action producing honey and caring for their young. This hive opens to the back of the building to allow worker bees access to come and go. One can search for the Queen Bee among her thousands of attendants. The exhibit displays beekeeping equipment from the past as well as examples of what is used today in the beekeeping industry. On hand in the Honey House are local beekeepers who will greet and explain to visitors the story of how important honeybees are to the survival of Florida Agriculture and the food we eat.Honeybees were not native to the United States. They were brought across the Atlantic Ocean by the early European settlers. Located next to the Syrup House, this Pavilion was dedicated in honor of June Reinhold Myers. Sit in the shade, enjoy your ice cream and listen to the music that provided our early pioneers with relaxation and entertainment. (See entertainment schedule on this website for times and performances of Bluegrass Bands). 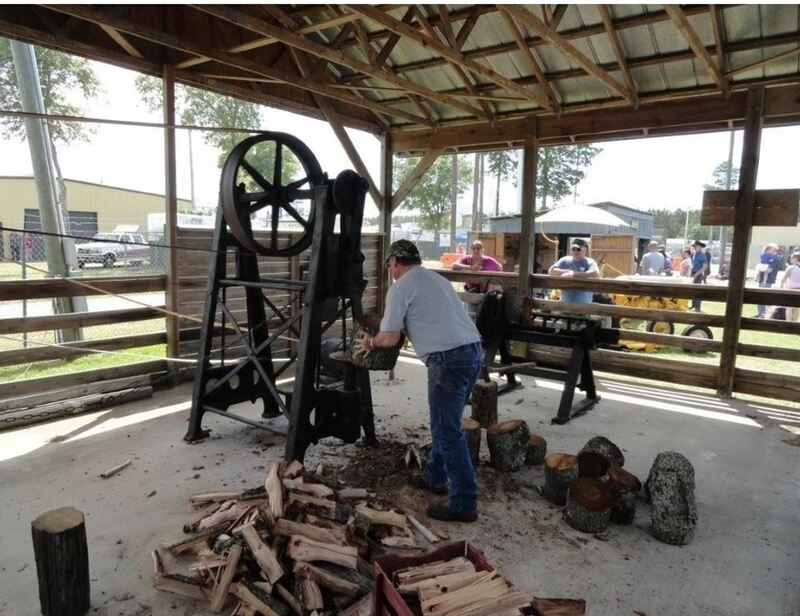 The timber industry was the “economic engine” for North Florida during the 1800’s and most of the 1900’s. Dedicated in honor of Elliott Maguire in 2008, this “Company” store was typical of the buildings necessary to support the turpentine and pulpwood industry. Open for tours, this building displays tools and artifacts related to the timber industry. Moon-shining was an activity that provided income during times of need. This actual still was used during the era of the Great Depression. Listen to stories of how this “illegal” product was manufactured. Sorry… in this exhibit there will be neither demonstrations nor free samples. The Padgett House was built by Hardy and Vinnie Padgett on the North Prong of Black Creek in the early l940's in the Clay Hill area of Clay County. Prior to building this log house, all of Hardy and Vinnie's ten children had left home and had families of their own. The house was later acquired by their eldest child, Hiram Padgett. Hiram and his wife Tinnie dismantled the house and moved it by log truck about two miles to a location on what is now CR218, just west of the North Prong Black Creek Bridge. This was done in about l946 or 47. There were five children of the Hiram Padgett Family raised in this house. In l969, the house was replaced by a modern structure and moved to a field further from the highway. 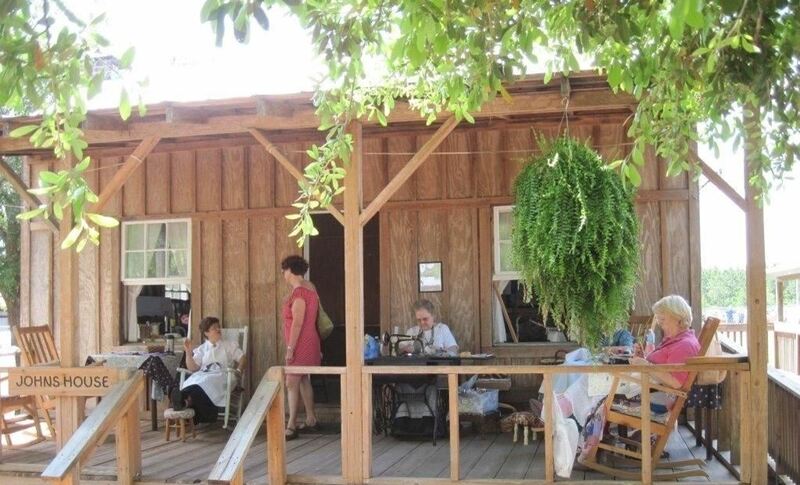 In l992, Ms. Sarah Boe, on behalf of the Clay County Fair Association, was able to acquire the house for display in the Rediscover Early Florida Village. See the cells where inmates were lodged in the early days of the Town of Penney Farms. History reveals that two robbers were caught and occupied one cell overnight and on another occasion, a teenage prankster learned a lesson that lasted a lifetime inside this jail. This 1st & 2nd grade classroom was once attached to the original “main” three-room Penney Farms School. 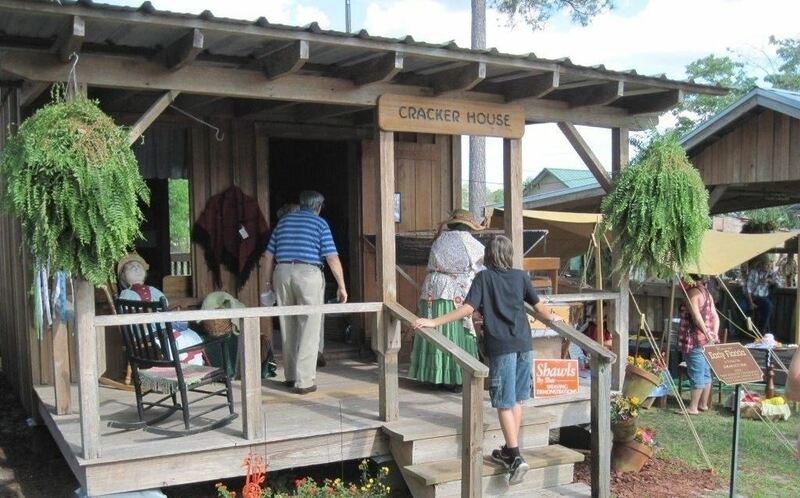 Today with the aid of dedicated volunteers from the Historical Societies of clay County, the village attempts to show the importance of education in the history of Clay County. Every farm needs a barn. Come visit the duck pond, and all of the baby animals that live the Little Red Barn. The Village Church was the center of spiritual and social life in every small community. Visit our replica of a rural country church and enjoy Gospel music performed by local church choirs.